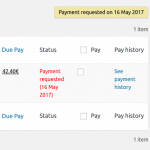 Request Payment is an addon for Post Pay Counter and Post Pay Counter PRO that allows your authors to request a payment when they reach a certain threshold. 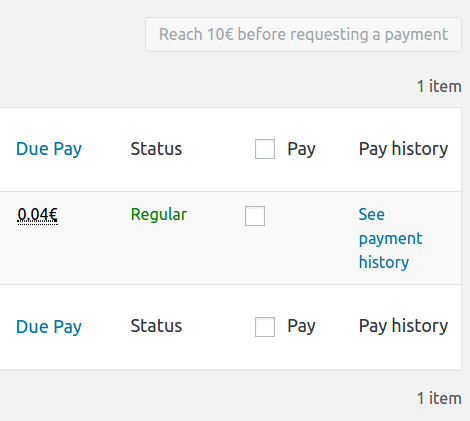 A Request payment button will be displayed in the stats page allowing the current user to request a payment, if their due payment amount is greater than the admin-defined threshold. 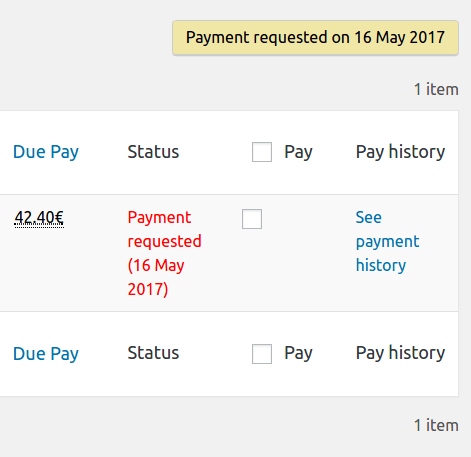 When clicked, the button changes its look and reports the date the payment was requested on. The administrator will get an automatic email with the details. 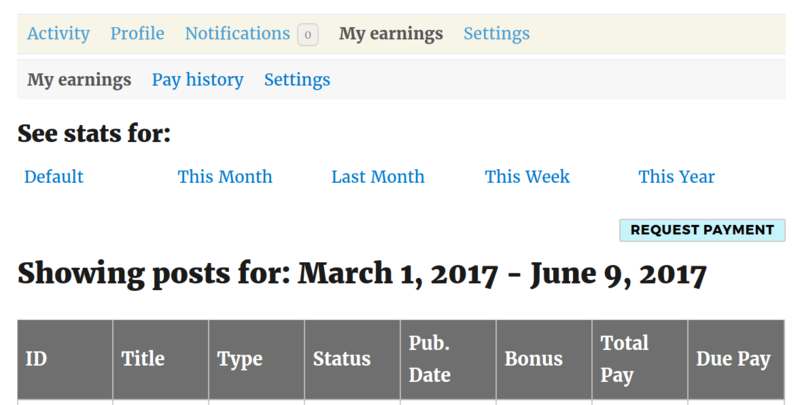 There also is a Status column in the stats table (shown only to people allowed to make payments) that shows payment requested status for each author. 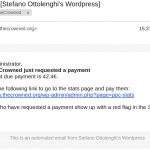 When the author is marked as paid or paid with PayPal, the status will be reset. 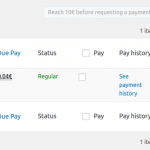 Request Payment integrates with the BuddyPress addon as well, to provide all the request payment features in the BuddyPress member page. 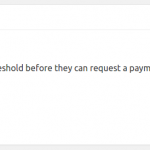 The BuddyPress addon is a not a requirement for Request Payment to work. 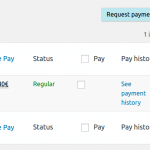 First of all, make sure you have the latest release of Post Pay Counter and Post Pay Counter PRO installed and active. 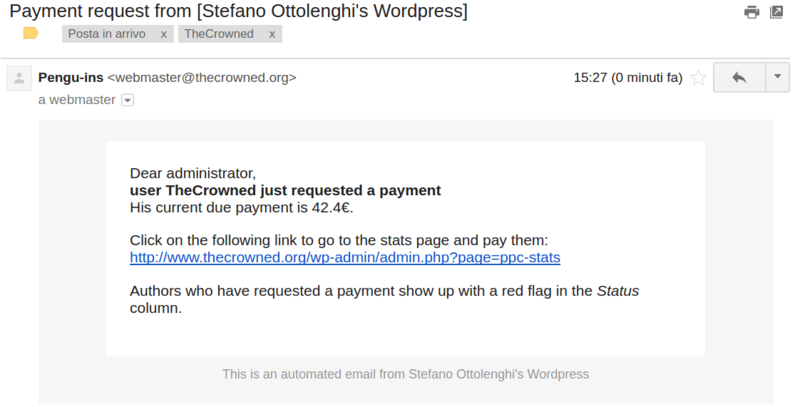 As soon as you purchase the addon, you will get an email with the download link and your license key: download the plugin through that link, extract the zip and upload its content (the whole ppc-request-payment folder) to your WordPress wp-content/plugins folder. 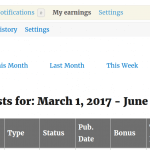 Now head over to your website plugins list page, look for Post Pay Counter – Request Payment and activate it. 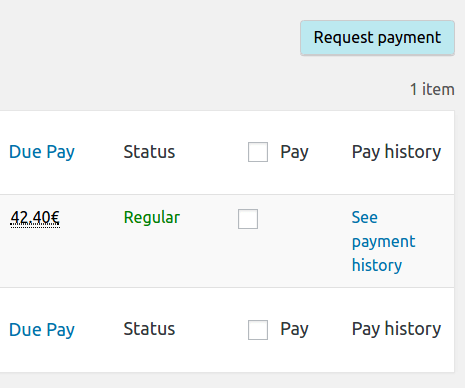 Finally, go to Post Pay Counter > Options > License status, paste your license key in the apt field and hit Submit. You’re done: your license has been activated and you can now enjoy all the new features.